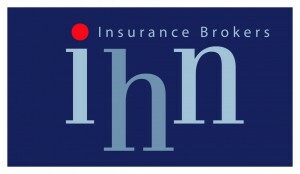 IHN Insurance Brokers enjoy a reputation for delivering high quality insurance advice and services to our commercial and private clients. We are proud to have been awarded the prestigious ‘Chartered Insurance Brokers’ title by the Chartered Insurance Institute. This title is a commitment to an overall standard of excellence and professionalism, and evidence of that commitment to our customers, partners and employees. It means you can be confident that you are dealing with one of the UK’s leading firms and that we are wholly committed to providing you with the best possible advice, service and support. In addition to our general experience of commercial and personal insurance, we provide specialist knowledge in a variety of business sectors. IHN has the unique accolade of being the only insurance broker approved by both the MVDA and BMRA to give advice to their members. We have established ourselves as the country’s leading advisor to this recycling community and for many years we have been the broker of choice for both MVDA and BMRA members. We offer a professional and personal service and provide policy covers tailored with the professional vehicle dismantler and metal recycler in mind. Our specialist advisers have a deep knowledge and understanding of these sectors and we only use insurer partners with experience and expertise in these industries. Together with IHN, we can bring you affordable and bespoke insurance. Come and see us on Stand A1 for advice, information or just a chat.